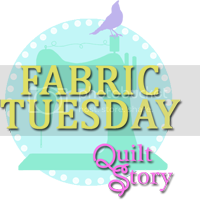 Celtic Thistle Stitches: Q4 FAL - a list of hopeful finishes! Leanne is doing a wonderful job of marshalling all of the FAL followers, with timely reminders to the tardy to get their lists for Q4 submitted. So, scraping in before the deadline here is my list of projects that I would love to have completed before the end of the year. 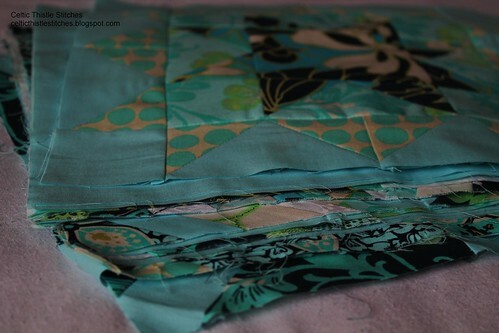 First up, naturally, is the HST BOM quilt that didn't quite get finished by the end of Q3. If nothing else is finished this quarter, I am determined that this will be! 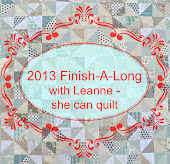 Second, another carry forward from Q3, the Craftsy BOM quilt top. I would like to give my son and daughter-in-law the completed quilt as a Christmas present, so that is an added incentive to get this one finally done and dusted. 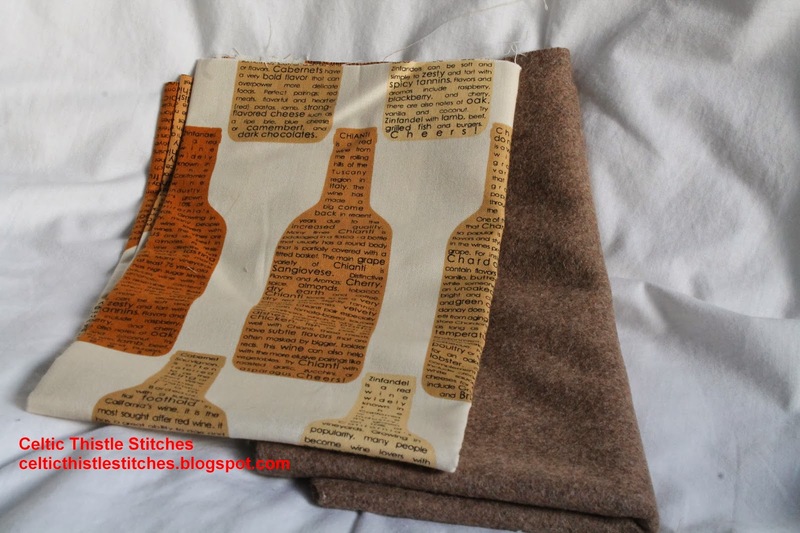 A while ago, I took part in a text fabric swap and this wine bottle fabric was one of the fabrics suggested for the swap. The swap was for charm squares, so this fabric was deemed to be too large a scale to be included, but I knew that it would be ideal for a project for my son, who works in the wine trade. The lovely Swedish Scrapper who posted the fabric suggestion, unbeknowns to me, arranged for a fat quarter to be included with my swap package, which was a wonderful surprise. 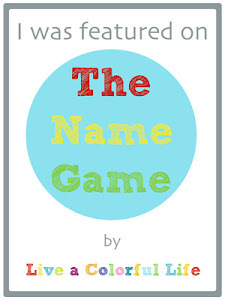 So, I really need to do something with it to recognise Lizzie's fabulous generosity. I have the perfect project from my Pillow Pop book too, so there really is no reason why this can't be done in time! 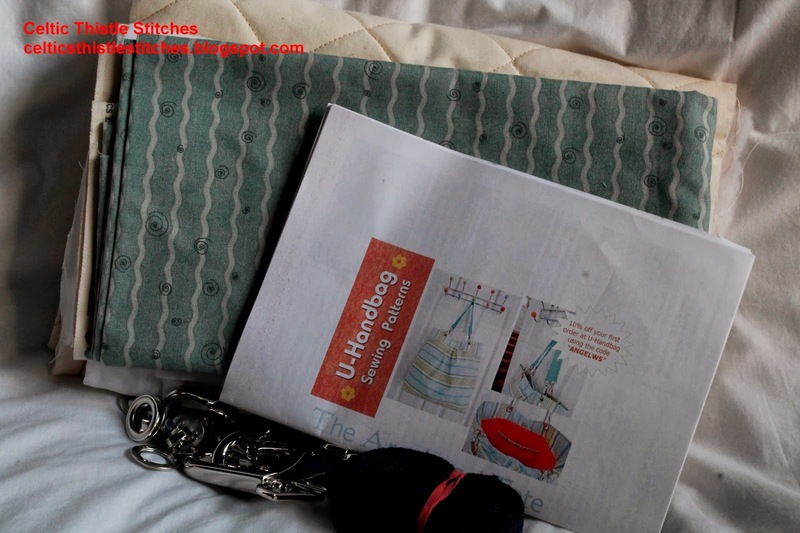 Fourth on the list is another long-standing project from last year's Zakka SAL, the house pouch. I had decided to change the original pattern about a bit, and incorporate some embroidery but as you can see that didn't get very far :) So with the winter nights coming in, what better project to have on hand than some dainty embroidery! The fifth project on the list is also a bag, but this time a proper handbag size bag. 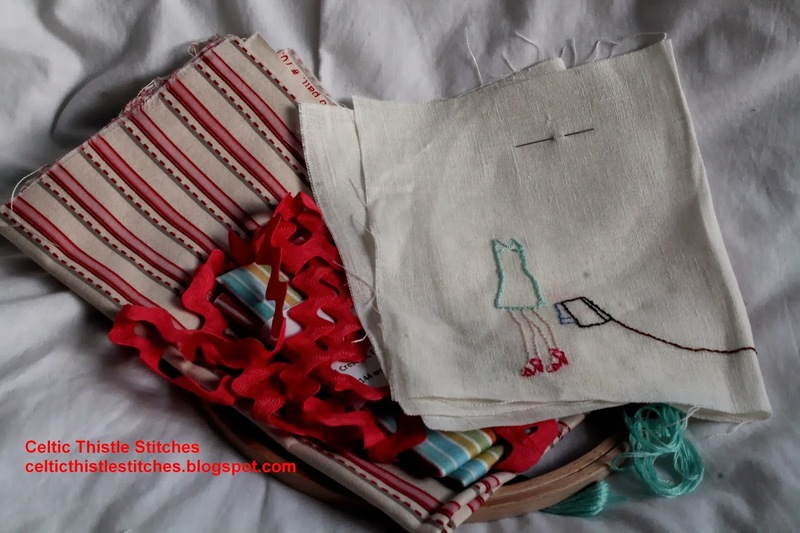 A while ago I entered a competition at uhandbag's blog to name a new bag pattern and win a kit for the bag. I suggested the name of the bag could be the Arc Angel Tote, and Lisa picked that as the winner. The kit, however, has been sitting in my sewing room gathering dust since then. Having named the bag, it seems a shame not to actually have one, but hopefully that will be remedied this quarter! There is, of course, coming up the small matter of Christmas to contend with but that is another list entirely! Voting has now closed and I will be posting the details of the winners on Tuesday, so be sure to check and see whether you are one of the lucky winners. This is a lovely list. 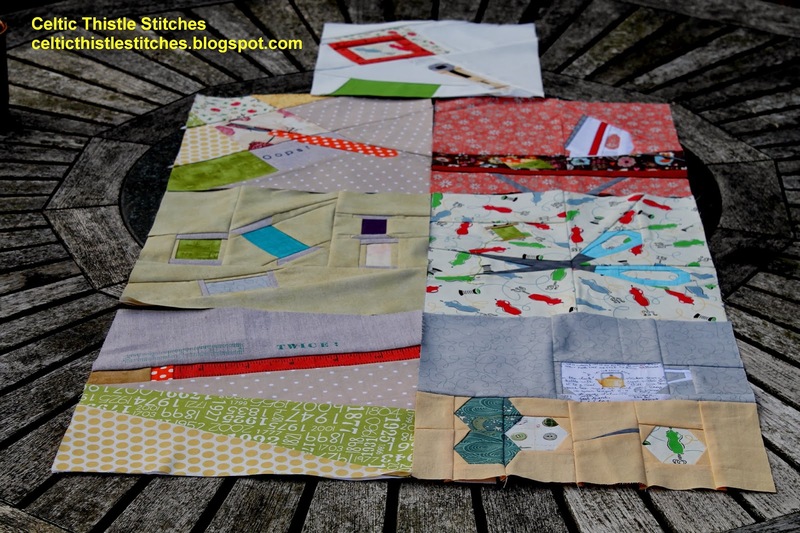 I especially love those blue blocks from your Craftsy BOM. The colours are beautiful. I am glad you are part of the FAL. Brilliant list! Can't wait to see that bag. 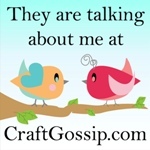 I added my And Sew on Bom blocks to my this list this morning!!! as I forgot them and that it should be finished by the end of the month! I hope it wasn't to late or cheeky!!! Go, Fiona, go!! Here's hoping for a strong fourth quarter finish!!!! Lots of lovely things on the go, just the incentive you need to get them all finished on time. Good luck with your list - lots of lovelies!! 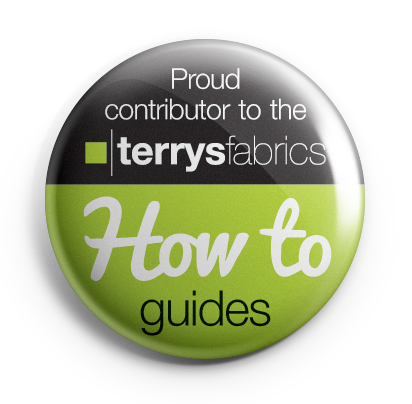 How do you stay organised with so many projects on the go at the one time??? 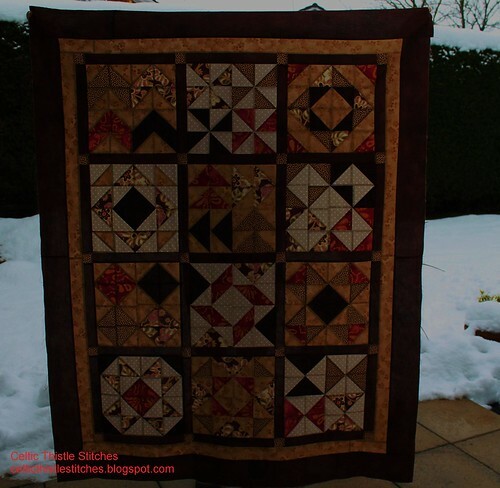 I love the brown colours and design of the finished quilt... and is that snow I can see in the background? Looking forward to seeing what you make with the wine bottle print... not sure why, but text fabric appeals to me, no matter what the text. Well you're certainly going to be busy, good luck with working through your list. I look forward to seeing all your finished goodies. Oh wow, what a list. Really nice projects on the go. Good luck! Fantastic list of goodies to do, Fiona! I abandoned the FAL after the first quarter as it seems deadlines make me useless! Wish i could be more like you!